This map shows the primary routes taken by the British to move from San Carlos Bay to Port Stanley. 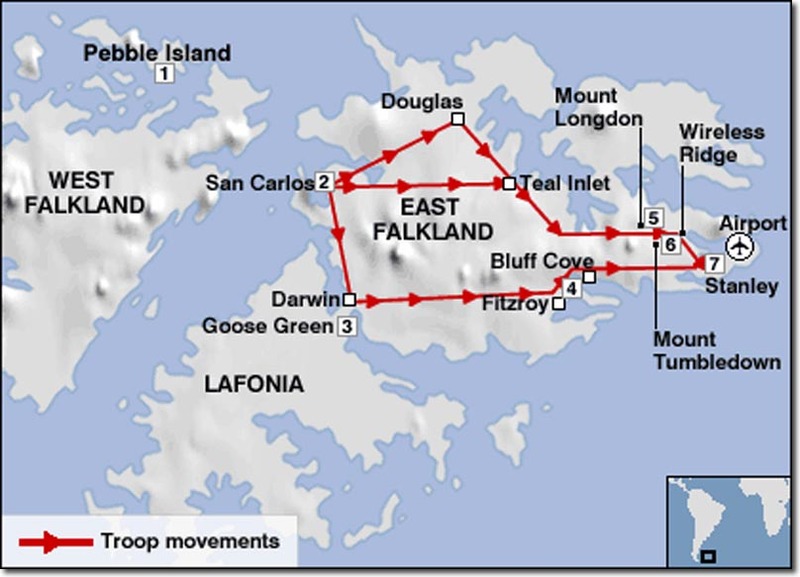 The initial plan was to move easterly across the island but a detour was taken south towards Goose Green and then 5th Brigade was landed south of Stanley in Bluff Cove and Fitzroy Bay. However, the primary thrust was directly across the island.